Located at the corner of Howard St and New Gross Point Rd, Extra Space Storage serves residents of Skokie, Morton Grove, Niles, Lincoln Wood, Evanston, and more. Locals will recognize our facility next to Fibre Craft across from FedEx. Extra Space Storage is about 6.8 miles from Northwestern University, providing convenient self storage for college students over the summer or while studying abroad. With a wide range of storage units, climate-controlled storage, drive-up access, and exceptional security, Extra Space Storage on Howard St is the self storage partner you can trust in Skokie! Our Skokie storage facility has units ranging in size from 5x5 to 10x30 with convenient features like first-floor access, elevator access, and drive-up access. With 24-hour video surveillance and security access to your floor only, Extra Space Storage provides a safe storage environment and peace of mind for customers. Concerned about storing temperature-sensitive belongings? Units with climate control maintain temperatures between 55 and 80 degrees year-round, protecting items from extreme heat and cold. If you want easy access to your stored items, rent a drive-up unit! This amenity allows you to pull a vehicle up next to your unit to unload and load items without hassle. Drive-up access is also a great feature for indoor vehicle storage in Skokie! 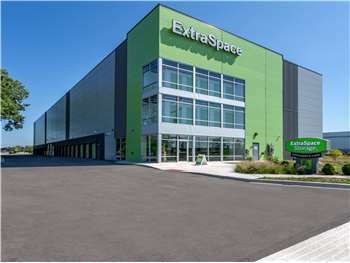 At Extra Space Storage, we strive to provide dependable self storage and excellent service. From our well-maintained, secure, clean facility to our friendly, professional team, we work hard to ensure you're satisfied with your storage experience. Contact us today to reserve a storage unit in Skokie! I don't do reviews (I do read them religiously) or give out compliments easily or often unless I think it's someone or something Exceptional. Melissa is the store manager at Extra Space Storage in Skokie, IL. Besides having a very pleasant personality, she help make our moving & storage process so much easier & Less Stressful. Melissa is very knowledgeable, she was able to answer all of our questions, she gave us great tips about storage, she was extremely thorough explaining their policies, pricing, & the whole storage process. Melissa was even empathetic to our situation (she just moved). We were very impressed with this young lady, as a professional, she is on top of her game. We were also impressed with the facilities at Extra Space Storage in Skokie. Their prices are comparable to all the storage places in the area. Besides being brand new, it is well maintained. They also have wider hallways, higher ceilings, structurally securer storage units. Their storage unit locking system is so much better than the other places we visited. But the icing on the cake is that the moving trucks, vans, cars, etc, can back right into the storage facility common area where it is climate controlled, well lit up, & CLEAN, CLEAN, CLEAN! It sure makes a difference when you, have to load or unload stuff yourself. (especially at night by yourself) The crew from the moving company were even impressed. After visiting 3 other places in the same or lower price range, that had Filthy facilities, less Structurally Secure storage units & locking systems. Rude & or Very Unprofessional staff, we couldn't get back to Melissa at Extra Space Storage fast enough to secure our unit. I definitely recommend them. Go check them out for yourself. Drive southwest on Edens Expy. Take Exit 37B and merge onto Dempster St. Turn right onto Lockwood Ave. Turn right onto Gross Point Rd. Pass Niles West High School and continue onto New Gross Point Rd. Turn right onto Howard St. Our facility will be immediately on your right. Drive north on Edens Expy. Take Exit 39A heading to Touhy Ave. Merge onto Touhy Ave. Turn right onto Niles Center Rd. Turn left onto Fargo Ave and then immediately turn right onto Frontage Rd. Turn left onto Howard St. Our facility will be on your right after New Gross Point Rd. Drive west on Howard St. Pass Skokie Blvd and continue west on Howard St. Turn left onto Niles Center Rd. Turn right onto Fargo Ave and then immediately turn right onto Frontage Rd. Turn left onto Howard St. Our facility will be on your right after New Gross Point Rd. Drive east on W Oakton St. Turn right onto N Milwaukee Ave. Cross Harlem Ave and turn left onto W Birchwood Ave. Turn left onto N Waukegan Rd. Turn right onto Howard St. Our facility will be on your left after Lehigh Ave across the train tracks.